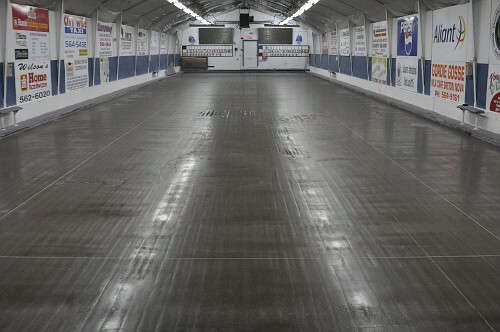 The Schooner Curling Club originated as part of CFS (Canadian Forces Station) Sydney, known locally as "The Radar Base", which was activated in March of 1953 as part of an early warning defense system known as the Pinetree Line. 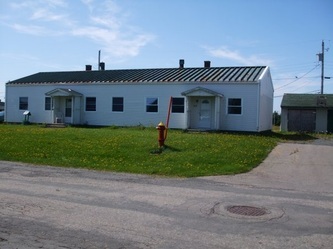 CFS Sydney was located overlooking the City of Sydney on Lingan Road, just past the city limits of the time. Over the years CFS Sydney was home to hundreds of servicemen and their families and was its own small community consisting of housing, a chapel, it's own school and recreation facilities along with the military installation. 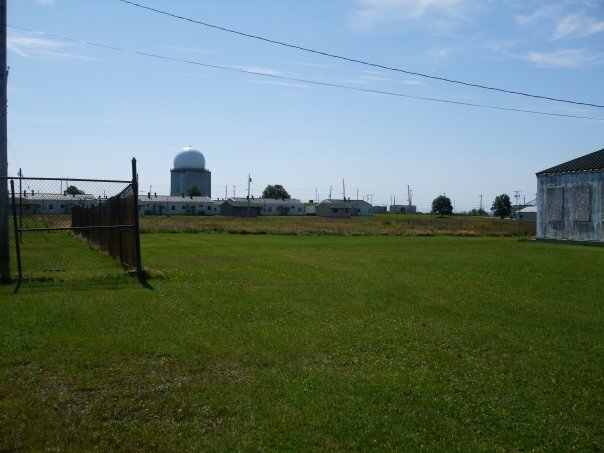 Along with the people in the services, many civilians worked at or used the facilities of the base over the years. 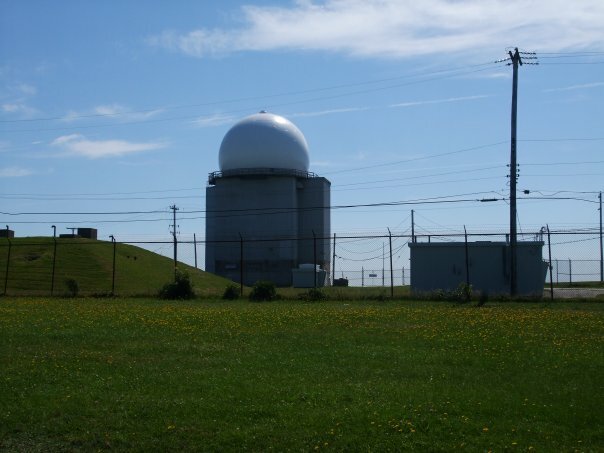 One of the recreation facilities located onsite was the curling rink called Schooner which was established in the early ‘70s..
With the threat of the cold war long behind us and changes in technology rendering it obsolete, the radar facility and CFS Sydney was decommissioned in 1992 and ownership of the site transferred to the Province of Nova Scotia. The Province created a company called New Dawn Holdings to administer the site, including housing, recreational facilities, etc, for civilian use. With the military gone the future was uncertain for the curling club. Fortunately, a few civilians who had been members and curled at the club didn’t want to see it die. They made a deal with New Dawn to use the facility and the equipment and resurrected the Schooner Curling Club and kept it going. Thanks to those members, the Schooner Club survived. The Club was again threatened with extinction a few years back when, in 2004, a large fuel tank left behind by the military was found to be leaking and the ground around it contaminated. Further investigation of the base site found upwards of 35 underground fuel tanks that had to be removed and the soil in the area around them remediated. Since these tanks were left behind from the days the base was operational, the Department of National Defense agreed to pay the costs. 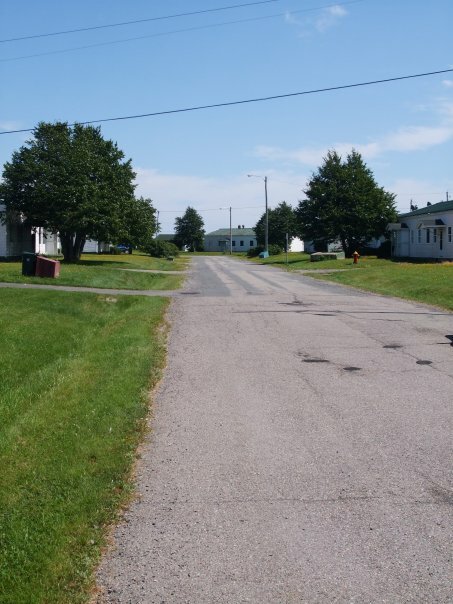 It was announced that, as part of the cleanup, a number of buildings were to be demolished, including many residences in very close proximity to the curling club building. Residents of these buildings were offered help with relocation and the buildings were demolished and the cleanup completed late in the last decade with, luckily, the Schooner Curling Club escaping the wrecking ball and left to exist and thrive today. The Schooner Curling Club has two sheets of regulation curling ice at the facility. The unique thing about the club is that it is one of the few curling clubs left in Canada that have a sand floor base for the ice rather than concrete. Shortly before the Military decommissioned the the base in the early 90’s, the floor of the ice shed was dug up, new insulation and piping installed but sand was still used to cover the cooling system and create the base for ice making. This project was affectionately known on the base as “The Big Dig” and was frequently manned by soldiers who had stepped out of line and were being disciplined. The sand base does not affect ice quality in any way but it does add time to ice making in the fall as the sand must be frozen and layers of ice built up slowly with light coats of water at first to ensure a high-quality end product. 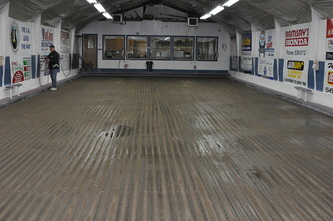 The bones of the building and the main ice making equipment are still from the time of the military but a new water treatment system from Jet Ice, an Ice King for ice prep and maintenance, an industrial dehumidifier and a few other things have all been added over the years to improve the facility and the quality of the playing surface. The building also has a roughly 800 square foot area for a clubhouse, a full bar area, washroom facilities and a small kitchen area. Having dodged the wrecking ball twice in it’s short history, today the Schooner Club continues on and thrives, even in these tough times. The club facility is still owned by New Dawn and is leased from them. We have a strong membership base and good support from the local community to help keep the doors open. There are no paid employees at our club, every job is done with volunteer labor from ice making and maintenance to housekeeping, bartending and even keeping our aging equipment running, we all pitch in to help somehow. We have three leagues on the go, Team Entry plays Sunday afternoons, Men’s League Monday nights and the Mixed League plays on Tuesday, Wednesday and Thursday evenings. Along with league play we also run a Junior Program on Saturday afternoon and there’s senior pickup curling held every Friday. We also run various in-house and open spiels during the year and once every month we have an open fun night to allow the public to try curling. 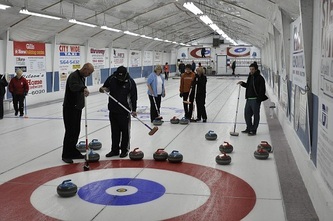 The club tries to emphasize fun and exercise in the sport of curling and maintain a less competitive atmosphere. We strive to make everyone. from seasoned, veteran curlers to the first timers, feel welcome. Any curlers traveling to the Sydney area and would like to visit our club and maybe even throw a rock or two are more than welcome. Anyone wishing to “test the ice” and try the sport of curling or if you want to get involved more permanently are also welcome to drop by, give us a call or send us an email. We are more than happy to have you. “Good Curling Everyone”.